Listening to music from our Android device is as common as sending messages, browsing the Internet of watching videos from smartphones and tablets. That's why nobody should be surprised about new music streaming services appearing every day, trying to compete with the giants in this sector, as is the case of Spotify and Apple Music. 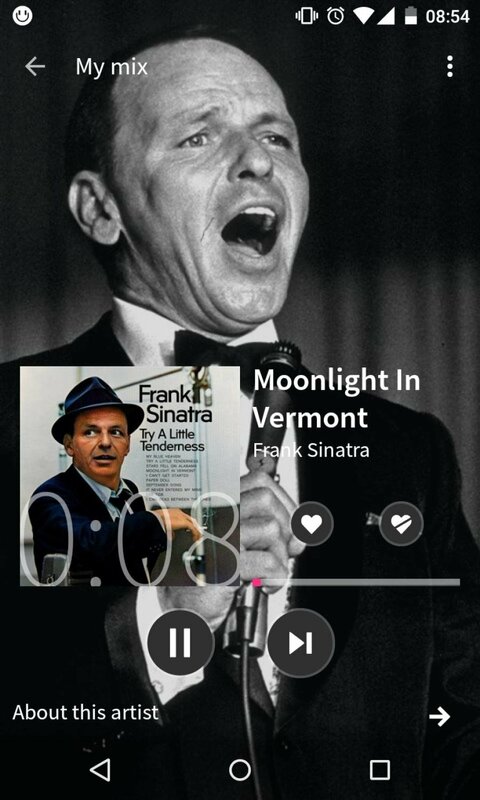 A failed alternative to Spotify and Rdio. 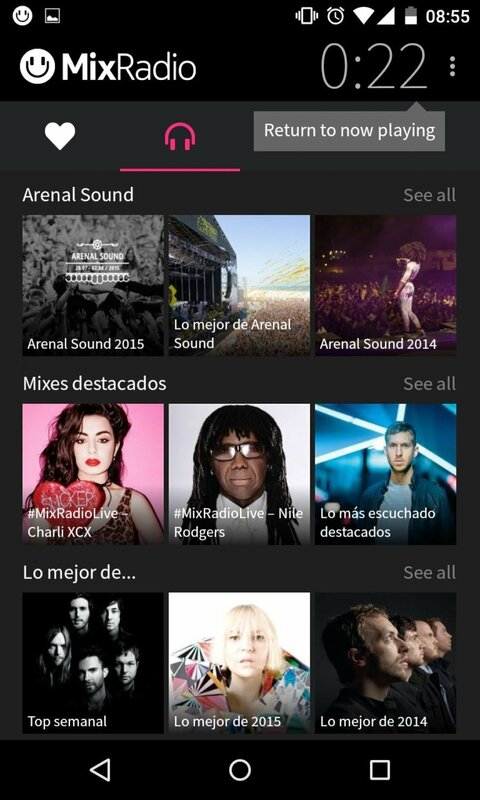 Unfortunately, not all services succeed, and that's what happened with this MixRadio, a development initiated by Nokia and later sold to LINE, that had to shut down in view of its unpopularity among the users that preferred other platforms to listen to songs online and download them to their phone. 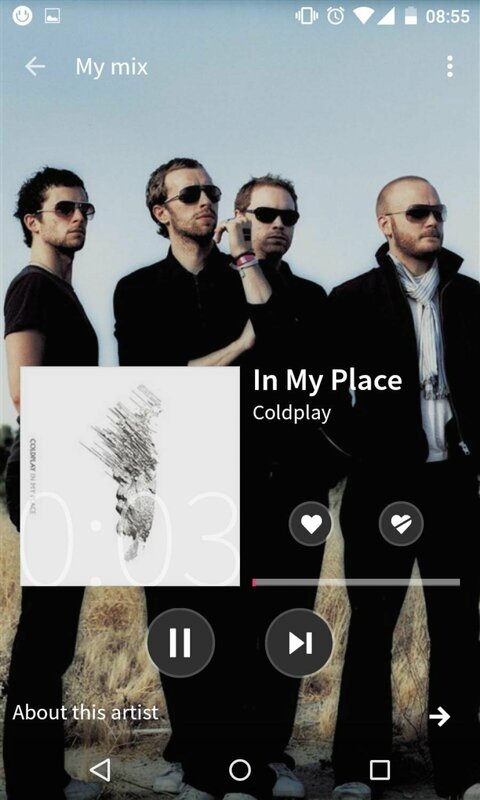 Listen to music online via streaming. Possibility to download songs to our phone. 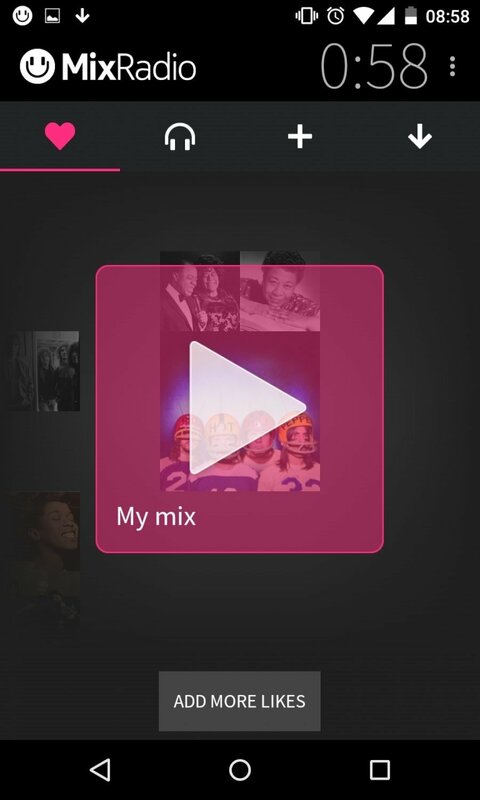 Create mixes or playlists to listen to them offline. Discover new artists and songs. 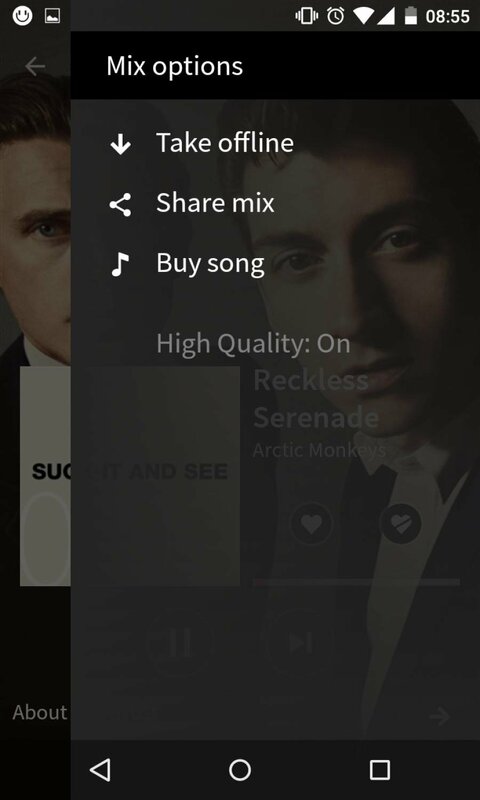 Option to mark songs as favorites so that the app can learn about our preferences.